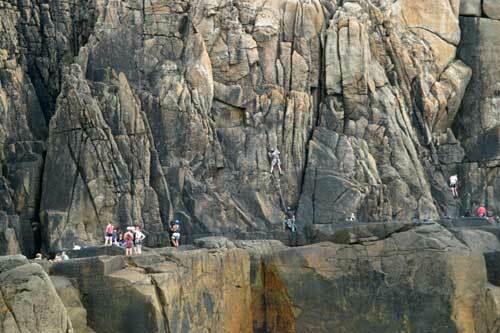 The cliffs around Cornwall offer a range of climbing routes so whether you're an experienced climber or an amateur wanting to improve your skills, Cornwall will offer you the perfect location for your climb. 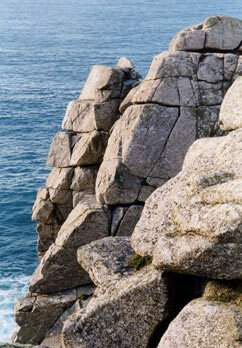 Sites at Bosigran, Halldrine Cove, Rosemergy Towers, Sennen, Land's End, The Lizard, North and South East Cornwall and the Chair Ladder provide a variety of climb difficulty levels. Inland sites at The Cheesewring on Bodmin Moor offer further challenges. A variety of Climbing holidays are available from weekend courses to more extensive training with experienced and qualified climbing instructors. Indoor instruction is also available on specially designed climbing walls.